MHL Hockey: September best players! As the first month of the season is now history, the MHL directorate awarded September's first months, with awards given both to Western and Eastern Conference. 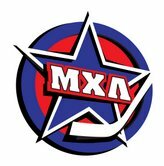 Western Conference's top scorer has been 20-years-old Stanislav Levin, thanks to an impressive 14 points in 10 games, with 6 goals, while the same stat top contributor among defensemen is so far MHL's face Alexei Marchenko (CSKA-Krasnaya Armiya), with eight points. September's top goal scorer has been probably the player who looked better so far, Dynamo Moscow's Nikita Dvurechensky, with seven goals, while Alexander Aleshkin from Almaz Cherepovets resulted as best assistman with nine helpers. Alexander Ataev from Dynamo and Spartak's Artem Zemchenok were the best +/- index with +9. Goalkeeper Evgeny Ivannikov, who plays for SKA-1946, got the best goalie honors thanks to his impressive GAA of 1,14. In the Eastern Conference, dynamic forward Daniil Kaskov from Avto dominated the offensive stats as he was the top scorer with 20 points and the best assistman with 16 helpers. Among defensemen, Tolpar's Artur Kutdusov topped all blueliners with 7 points. Promising Airat Ziazov, from Reaktor Nizhnekamsk, scored more goals than anyone else, 10. +14 has been the best stat for the +/-, registered by Tolpar's Egor Kuptsov. Last but not the least, Eastern Conference September's top goalie was Tolpar's Vladimir Sokhatsky, with a GAA of 1.20, despite the strong performances of Avto's Alexander Soloviev.